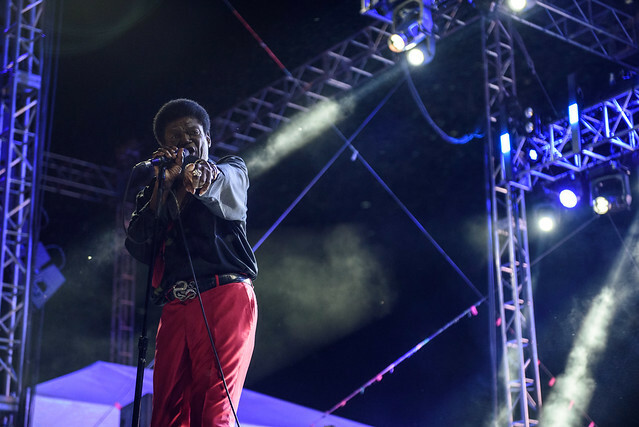 Charles Bradley is more than his music. 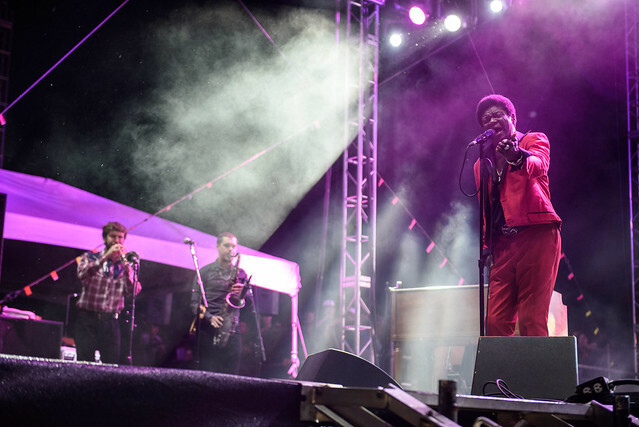 He's a Daptone Records institution, a life-affirming singer, and, as his organist, Mike Deller, introduced him to the crowd at dusk on the first day of the Sasquatch Music Festival, "The Screaming Eagle of Soul." Anyone unfamiliar with the 67-year-old soul singer quickly became acquainted with the reason for his nickname. 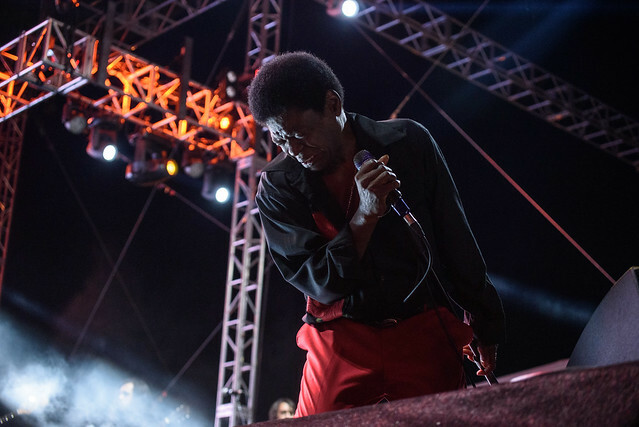 After a brief instrumental version of "Change for the World," played by his eight person backing band, The Extraordinaires, Bradley came out center stage, spread his arms like an eagle, and, soon thereafter, delivered his trademark scream, itself soulful enough to make James Brown shout and shimmy in his grave. His strong performance quickly quelled any doubts some might have had about his health. Bradley cancelled his tour in October after being diagnosed with his stomach cancer. This is his first show back since recovering. The circumstances of this show -- itself only a chapter in Bradley's journey from living on the streets of New York City to signing with NYC soul label, Daptone Records, and touring the world -- imbues his often biographical songs about love, hope, and changing for the world with the kind of lived truth and, I hate to use this word, "authenticity," that so many other canned soul artists lack. Besides that, The Extraordinaires (who opened for the Delvon Lamarr Organ Trio at The Seamonster on Thursday) are absolute fire. 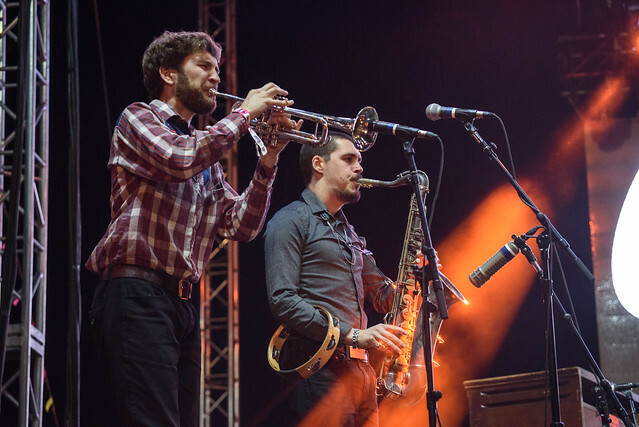 Even as Bradley stepped offstage for almost ten minutes, to exchange his floral shirt to a blue jacket with a pharaoh's head bedazzled in gold glitter on the back, the band held down the fort, playing two instrumental cuts with both incredible precision and soul. 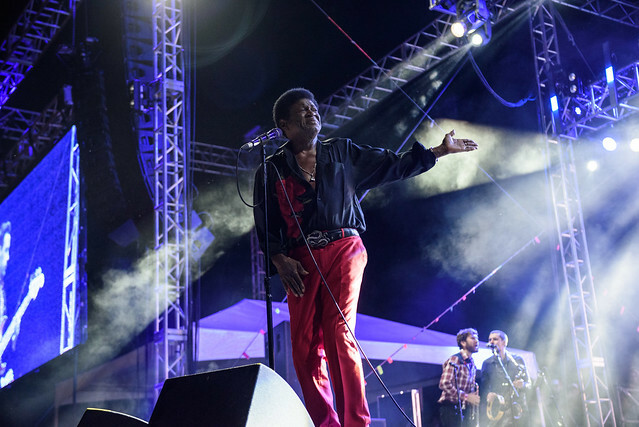 Once Bradley returned to the stage, singing "Luv Jones," and howling with even more gusto than he had before, the crowd was loving it. During the steady pounding intro of "Ain't It a Sin," ten hands banged wildly, and mostly in time, on the metal barriers forming a small aisle in through the middle of crowd from the mixing board to the stage. The mix of people joining in was particularly telling: there was a man clutching a water plastic bottle, a woman abandoning a fruity drink, a couple bros in jerseys, a couple dancing, and an older man in a Mariners cap. One young man only relinquished his fence slapping rhythmic contribution to cup his hands into a heart and point at at Bradley, who was then standing silhouetted by a bright white light center stage. 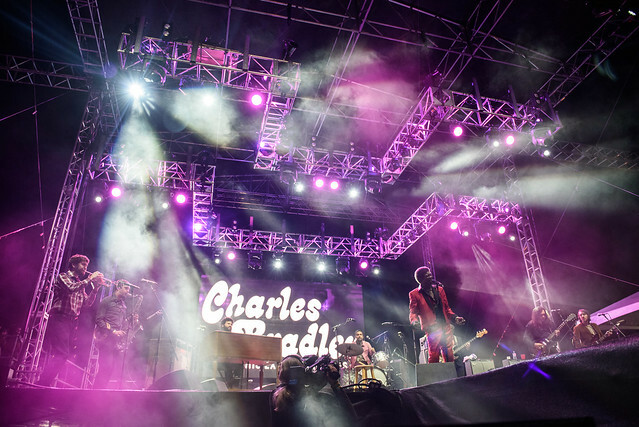 Charles Bradley brings people together, there is no doubt about that. And that's not even speaking of the number of people who crushed towards that same barrier when, after a cover of Black Sabbath's "Changes," touchingly dedicated to his late mother, Bradley walked down the aisle and handed out a bouquet of roses. Yes, I'd seen the routine before, and, yes, it still worked. I wanted a flower, too. Why? 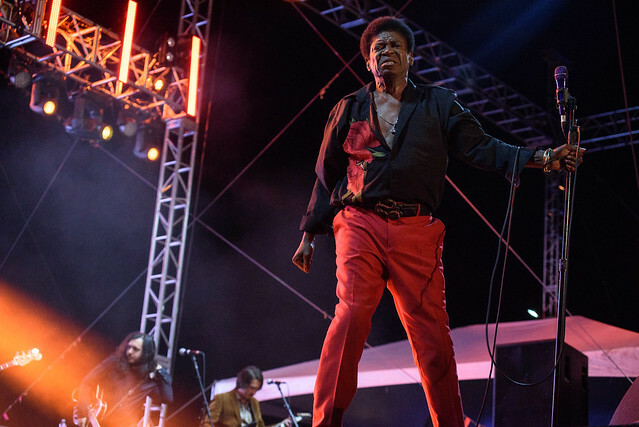 Because no matter how many times you see "The Screaming Eagle of Soul," you still can use more of his gut-busting music, inspirational storytelling, and infectious energy. A gimmick doesn't get old if it still feels genuinely motivated. 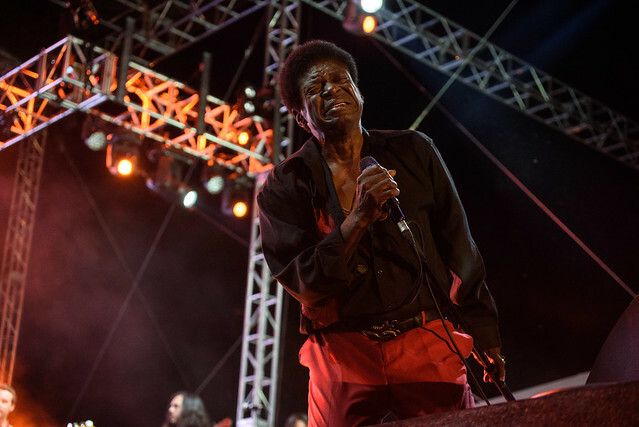 Charles Bradley still has plenty of love to give.